My home "flock" is slowly growing. 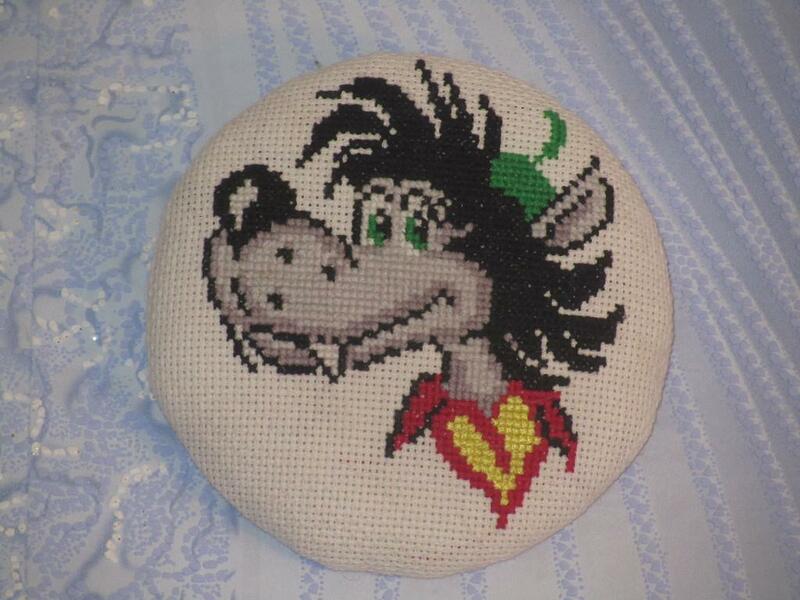 At first it was almost childish wolf from the cartoon "Nu pogodi". 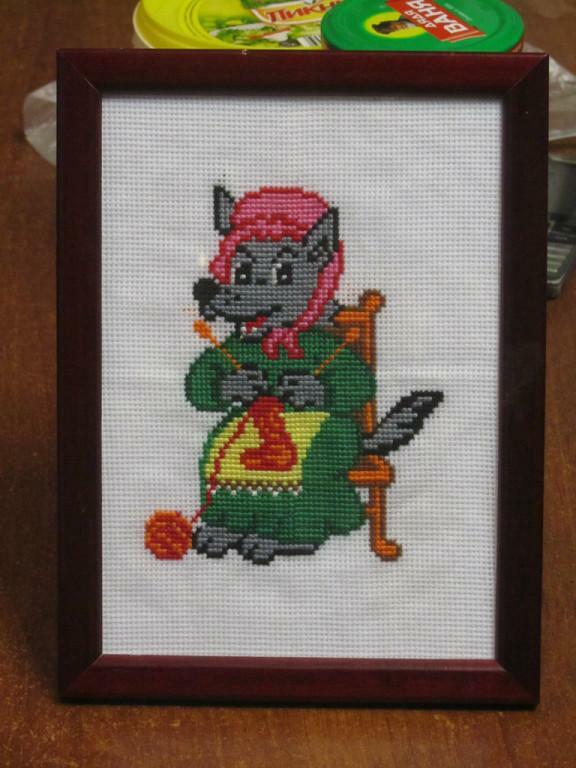 Then grandma wolf. Pillow my dear. 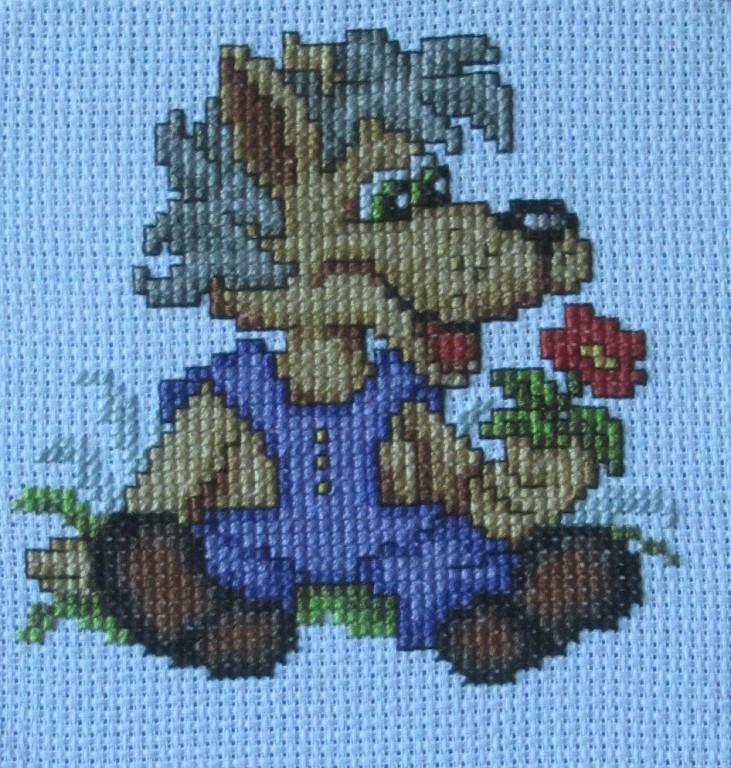 The wolf cub with flowers. Recently graduated from wolf in the bushes. 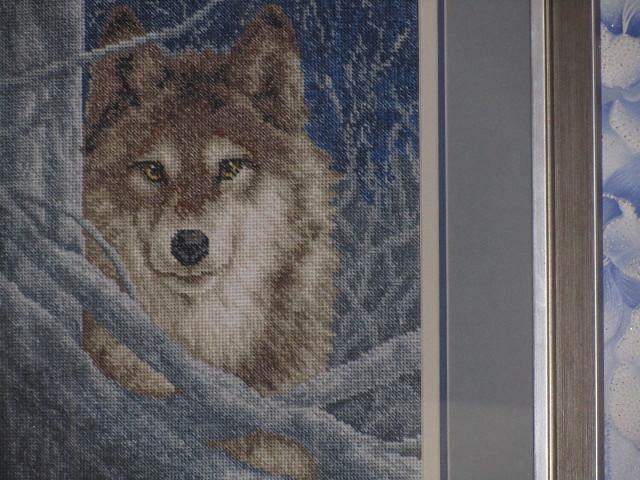 I was not fond of embroidery, spotted a similar embroidery. Only it was easier. But then I didn't find it, but found this one. Complex and interesting. Now I have more experience and bottom of the idea. You have quite a mixed pack here, Marina! Funny and cute, cuddly and mysterious - miniatures and textile painting. The comic wolves are so sweet. 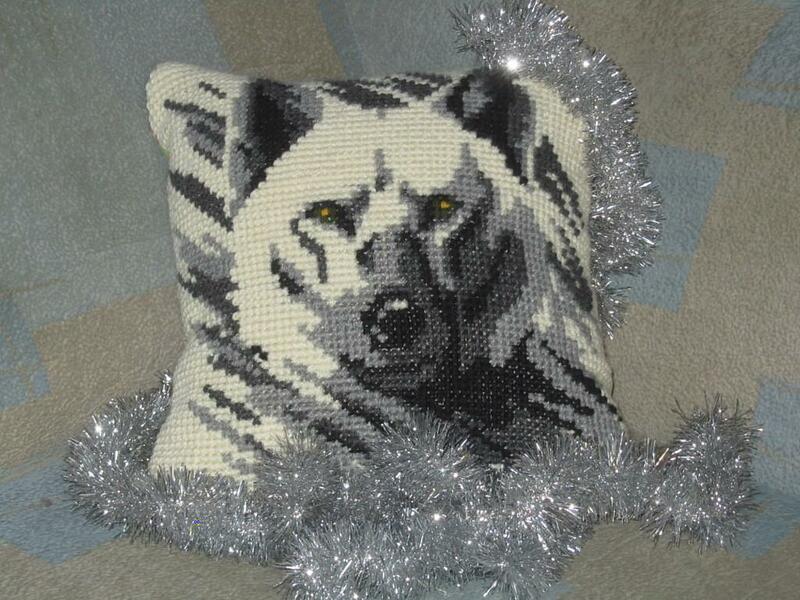 I like the pillow wolf ... and this "painting" is awesome. The careful, timeconsuming work was worth the effort. 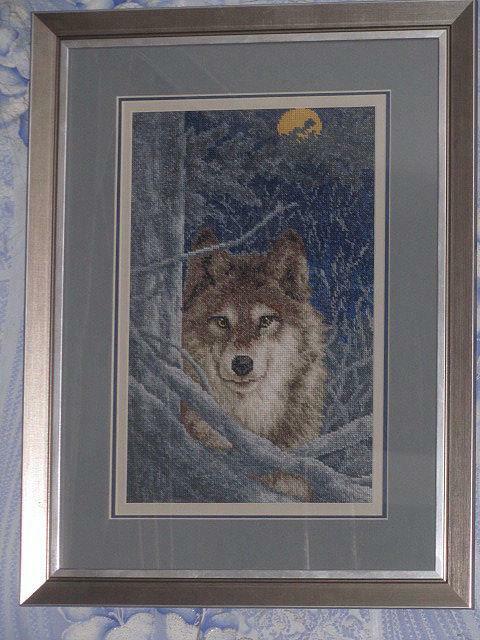 It's a rather bad scan from the framed picture. I swear the original piece looks as great as the other ones here! 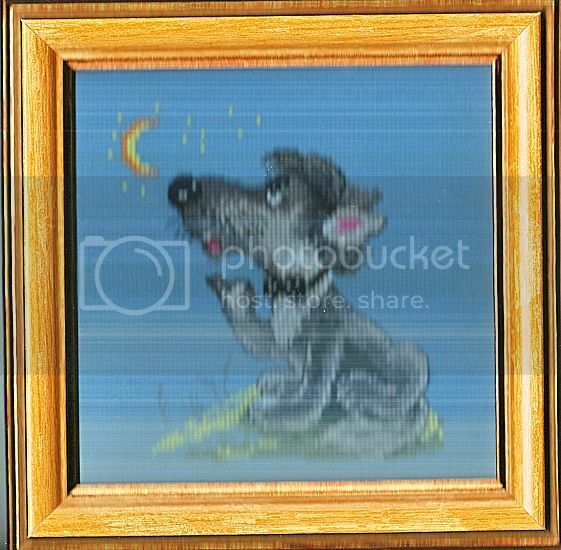 The girl with the wolf hid himself comfortably in a corner, and they have no one notices. No! Here they are!! !